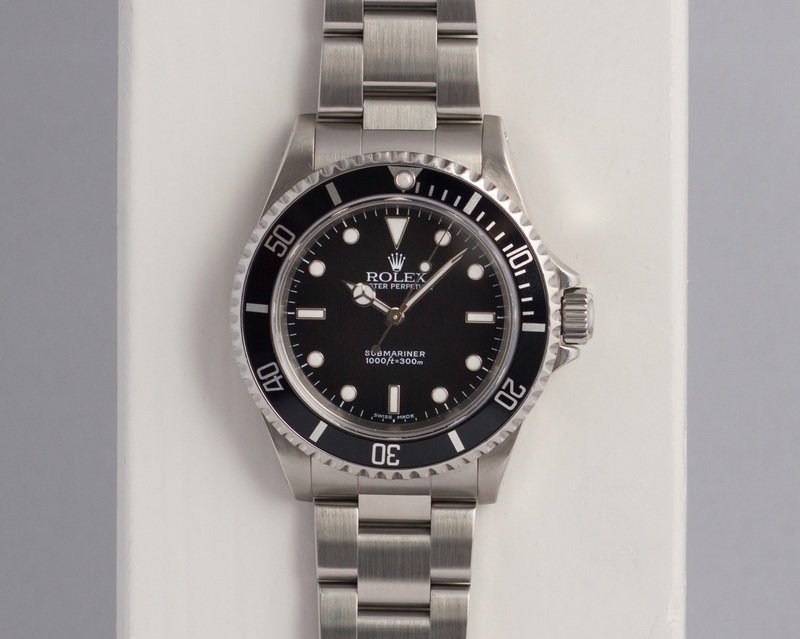 The Rolex Submariner No-Date is one of the cleanest and more balanced Rolex sports watches. With it’s clutter free dial and two lines of text at the bottom it’s a beautiful yet professional daily wearer. 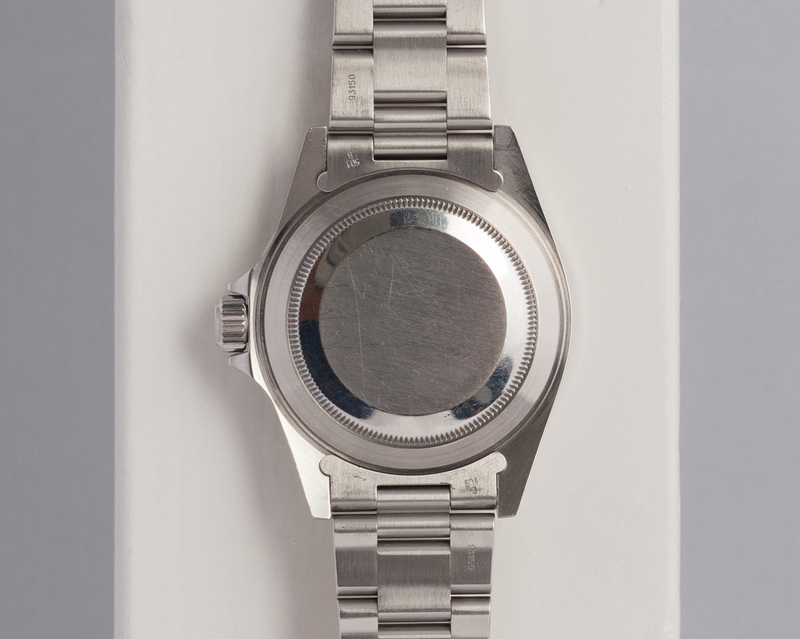 This 14060M is from 2002 which means that the watch is fitted with the then newly presented caliber 3130. This movement is fitted with a Parachrom hairspring, offering greater resistance to shocks and to temperature variations. 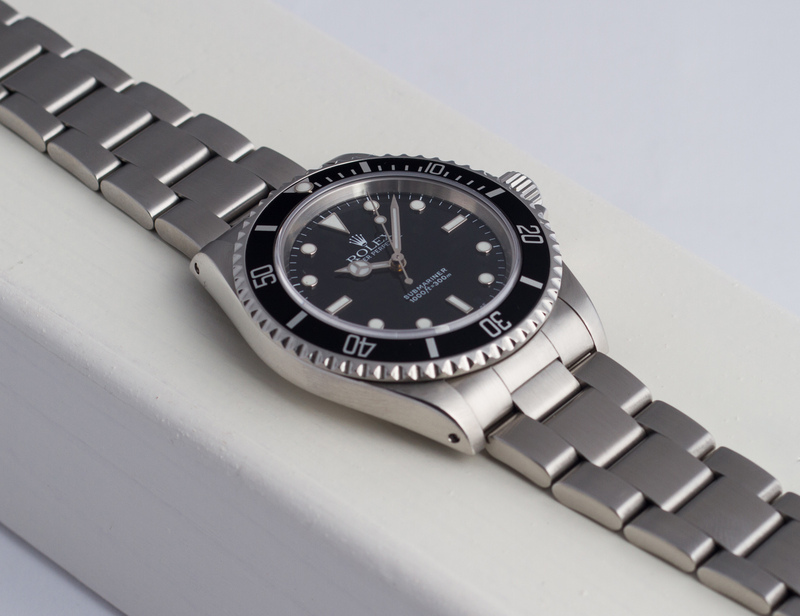 Its architecture, in common with all Oyster watch movements, makes it singularly reliable. The entire watch is in a wonderful condition. 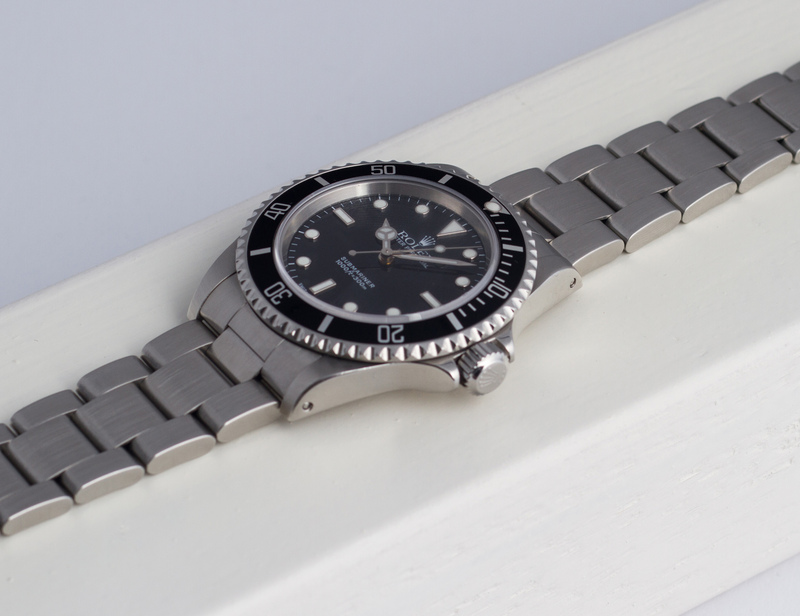 The case is thick, the bezel very sharp and the 93150 Oyster bracelet is as good as stretch free! This 14060M ‘Toolwatch’ has been fully checked and tested by our watchmakers and will be sold with a 12 month warranty.